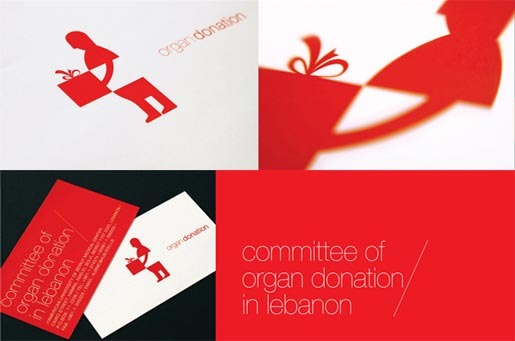 American University Of Beirut Medical Center, in Lebanon, commissioned DDB Dubai to create a corporate identity for its Committee of Organ Donation, using the tag line, “Gift an Organ”. Organ donation is something that people are very sensitive about. Though pledging an organ of a deceased relative or family member is a charitable gesture, not many people are comfortable with the idea. So whatever DDB designed had to strike an emotional chord and subtly prompt people to open up to the idea. More importantly, since it was to be project’s only tool of communication, the design had to instantly convey the message of organ donation. 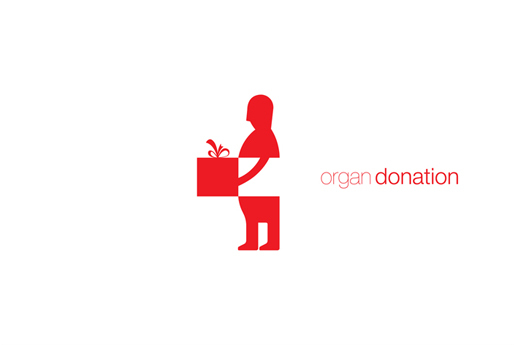 The Gift an Organ design set was developed at DDB, Dubai, United Arab Emirates, by executive creative director Shehzad Yunus, creative director/art director Makarand Patil, creative director/copywriter Kartik Aiyar, account supervisor Hala Saif, working with AUMBC lecturer Dr. Randa Haddad.